DAY 34, BUS 2: Rest day!!! Today was a rest day and a chance to catch up on other work. It is great to have volunteers on the bus who have experience of availing of minimum income schemes. Their presence on the bus is an example of what we mean by having ‘enabling’ schemes and is essential for our awareness raising exercise. 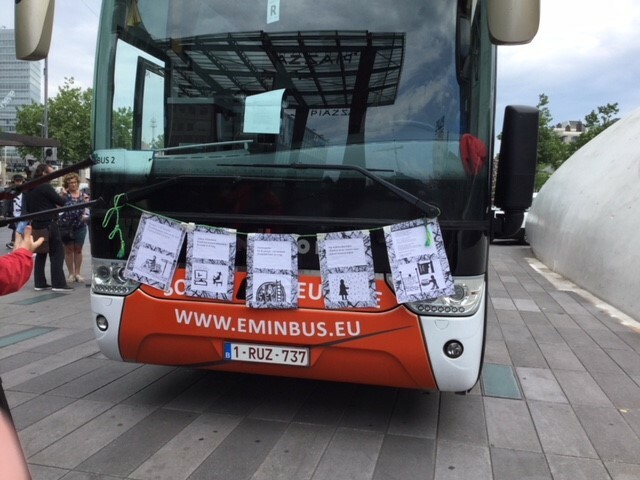 There are many countries where if you are on minimum income you would not be allowed to volunteer to be on the #eminbus. Instead of being able to have this development opportunity, the people concerned, are forced to stay at home and be available for non-existing jobs. This is a clear example that our task is not just about ensuring more investment in minimum income schemes but also to achieve a shift in mentality in the minds of those who design the schemes.